HistoryHound is for you if you ever tried to find something in your browser history or bookmarks, but couldn’t quite remember when or where you saw it. Or perhaps you’ve got your bookmarks meticulously organized, but it takes forever to mouse through the menus to get to something you want? 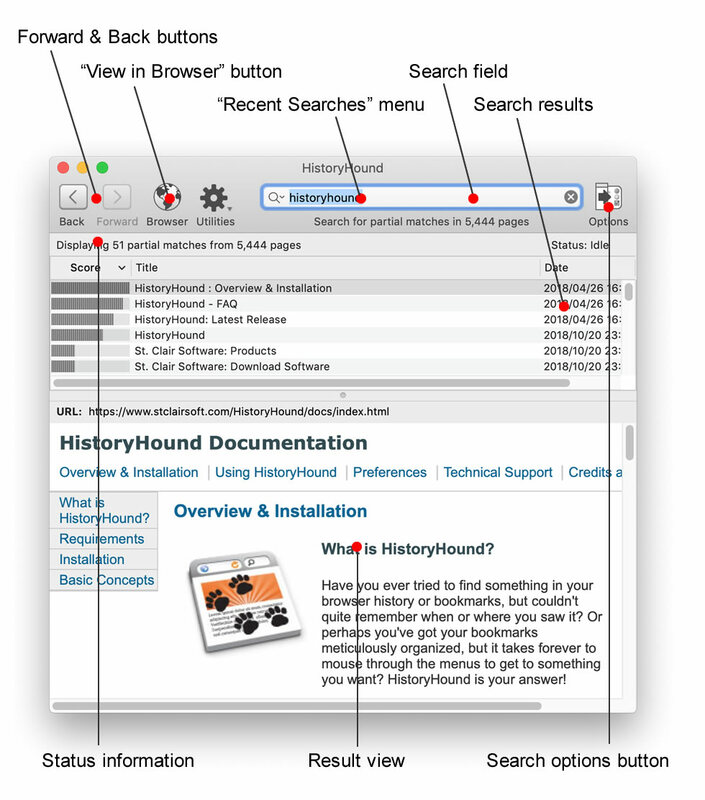 HistoryHound will chase down the page for you – fast! HistoryHound lets you quickly search for keywords in the entire content of all Web pages and RSS feeds you’ve visited recently, plus all those that you’ve bookmarked. It’s a “personal Web search.” Instead of hunting through endless lists of obscure URLs and page titles, just type in a few words that appear anywhere on the page, and even narrow it down to a specific range of dates if you remember when you saw it. HistoryHound will give you a list of matches, ranked by relevance. HistoryHound currently supports Safari, Firefox, Google Chrome, Camino, OmniWeb, Opera, Shiira, Flock, iCab, NetNewsWire and URL Manager Pro. Next story Microsoft Office 2019 16.20.0 – Popular productivity suite. Previous story Archiver 3.0.6 – Open, create, and convert archives. Cookie 3.0.31 – Protect your online privacy. ExpanDrive 4.1.4 – Access remote files over SSH/SFTP in Finder. Scrutiny 8.1.21 – Suite of Web optimization tools.